Almost a half year into marriage and I’m being forced to become a grown man. Like a round peg being shoved into a square hole, I’m resistant. It is uncomfortable, but with compromise bearable. I’ve taken a stand that before any attempt at procreation is made I will venture West for a mans fishing trip. George and I have kicked the idea of doing a trip out west for years. Chow and Luke are interested despite the normal ball busting and complaining regarding what lie ahead. 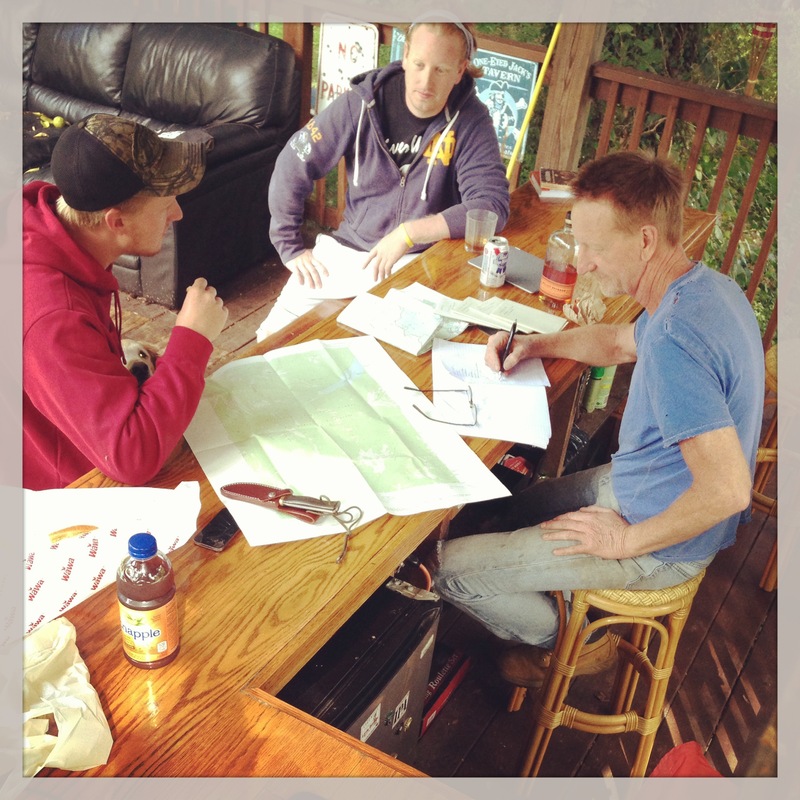 At our planning meeting last weekend Chow dubbed me the “guarantee fairy” after I described to the three of them everything I have read on the Flat Head rivers south fork. Chow then concluded that he only hunts “hammer trout, especially if I gotta to walk for em”. Kid once went 4 week long trips to Maine in what he called a “slump”, trout-less. 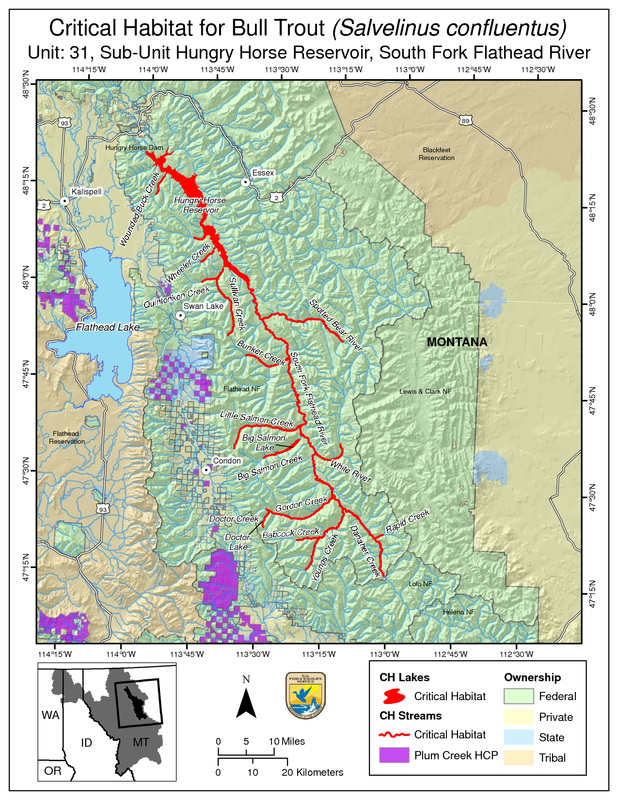 The South Fork of the Flathead river is apparently one of the most remote rivers in the lower 48 states. 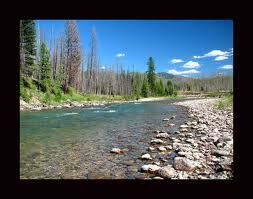 Despite its increased fishing pressure over the years it remains teeming with wild west slope cutthroat trout. Thankfully, to satisfy Chow this river system also contains the mammoth bull trout. From what I can gather online, books, and maps were looking at about a 25 miles hike into the wilderness area. I did get a D in geography so George will double and triple check our route before takeoff from Jersey. He will also be flying out with his .44 magnum to fend off grizzly bears. Chow and Luke both have no fear of said animal of course. I on the other hand will be loaded with bear spray, bear bells, singing Miley Cyrus up and down the trail. Joe Humpreys, the famed Pennsylvania fly fisherman once said that “you always have to have something to look forward to. That’s the secret to life.” Typically I’d dispute this as Id like to focus my attention on the moment at hand. However in this circumstance I cannot agree with Joe more. Everyday I spend at least some time thinking about Montana.What we need, the rods I will make for the trip and reels that will accompany them. What it will look like, the fish we will catch, just the sheer size of the mountains. As a self proclaimed gear nut I cant help but think about rods and tapers to make specifically for the trip. I’d like to have at least 4 cane rods done for our trip in late July. I have gotten some advice online from guys who have fished the river and most recommend a 5wt. Atleast a 6wt for the bull trout. It will definetly have to be a three piece taper. The first rod that comes to my mind is a Granger 8040. Known as a work horse do it all rod that was born in the West. Problem is, to accuratly replicate a granger taper you would need custom drawn ferrules. I do not make ferrules at this junctior. Many rodmakers use stepdowns or modify the taper slightly to accommodate different ferrules. Another roadblock is I cant even locate a reliable copy of this taper and don’t want to make something modified at the ferrule stations. I love Paul young tapers, but they are mostly parabolic in action hence nearly all two piece format. Pending someone loaning me the taper for a Mike Clark Geirach/Best taper 8.5 5wt, my western rod will be derived from a familiar eastern maker. Dennis Stone was gracious enough to post the taper for an FE Thomas special he had mic’d on the Clarks Classic Fly Rod Forum. Dennis describes the taper as a rod that casts itself, performing with just the leader out to 50 feet of line. It’s an 8 foot 3 piece 4-5 weight. My only fear is it being a little light for the West. But the beauty of being a maker is that Ill have plenty of time to try it out and decide if I need to make another rod with a little more muscle. Yet to cast an FET I haven’t loved, whether this rod makes the trip or not I wont regret planing this taper. George will most likely end up with something by Payne or maybe try out a Dickerson. He seems to prefer the faster, stiffer rods. Something that does not flex above the grip. Chow and Luke could probably do with anything from a broomstick to a more sporting Dickerson taper that Ill end up making them both. Why such an intense, crazy trip? If there is one thing the old man has embedded in my brain, its that “this ain’t no dress rehearsal”. We only go around once, and who knows when my next opportunity to go west will be. Especially a trip deep into the wilderness that requires so much preparation and time. And if I have children it would be irresponsible of me to venture into the heart of bear country, this has to happen now. That was excuse #323 that I have given to my new wife as to why this trip HAS to happen. So we are going all out. If what I read about grizzly bears is true, Chow should be the one eaten first. No matter how many times I warn him, “guarantee” he will sneak food into his tent for a late night snack. This entry was posted in Uncategorized and tagged bamboo fly rods, bull trout, cane rods, cutthroat trout, Flathead river, Montana Fly fishing. Bookmark the permalink.